Are Cocker Spaniels Good With Kids? Home » Spaniels » Cocker Spaniel » Are Cocker Spaniels Good With Kids? Cocker spaniels are lively, intelligent and affectionate dogs, making them a breed that is well-suited to raising with children. Being extremely sociable dogs, with a strong need to please, they make fantastic family pets, and will quickly form a strong bond with all members of the family. 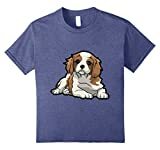 For those who have young children, you will likely be better off purchasing a Cocker Spaniel from a reputable breeder, rather than adopting an older one. This means that you will be able to raise your puppy with your children from day one, ensuring that all of your rules and boundaries are put into place. Of course, rules and boundaries can be difficult with a young puppy, but this is essential if you want your dog to live happily side by side with your children. 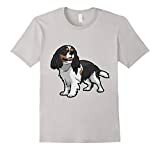 In addition to setting rules for your spaniel, you also need to be aware of the fact that your children will need to learn how to behave around dogs. This is a step that many skip, but that can lead to disastrous consequences. From teaching your children how to handle the dog gently, to leaving the dog alone while they sleep or eat, your children, no matter how young they may be, need to understand the basics of caring for a dog. You should also try to involve your children in training your cocker spaniel as much as possible, because not only will this help them to better understand your dog, but it will encourage your spaniel to better respect your kids. When it comes to disciplining your Cocker Spaniel, your children need to understand never to raise their voice or get aggressive with the dog. Cocker spaniels are quite a sensitive breed and do much better when trained with positive reinforcement, which is something else that you will need to explain to your children. When it comes to playing, your kids and your cocker spaniel will likely have a great time together, but, no matter how well they may get on, playtime still needs to be constantly supervised. Keep in mind that Cocker Spaniels are highly excitable, so you will need to make sure that any games do not get out of hand. If you have older children, then you have the option of adopting an older dog. While there may be many people trying to re-home their Cocker Spaniels directly, you would be best off going through an established rescue, as this means that they will provide rescue back up, along with help and advice, if there are any problems. It would be wise to take your children to visit the dog a couple of times before making your final decision so that you can assess how the dog behaves around your kids. While most Cocker Spaniels may be great with kids of all ages, you do need to remember that every dog is an individual. Everything from its genetics to the way in which it has been raised will have an impact on how a specific dog behaves around children, so you will need to be quite vigilant, especially in the early days.